With the passing of HIPPA laws and the identity theft crime law passed in 1998, secure document shredding in Glendale AZ has become even more important. Companies and medical entities have always known how important it is to keep personal health, financial, and identifying information about their patients and customers private. However, with the passing of these laws, the importance of keeping such information secure has been heightened. The best way to keep the information secure and only seen by people who need to see it is to hire a document shredding company Glendale, Arizona. 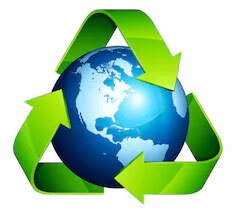 We are a full service document shredding company in Glendale AZ. We are locally owned. From our owner to our employees who are retired police officers and veterans, we take secure documents and information seriously. In addition to serving many different types of businesses and companies, we also accept personal document drop off’s. 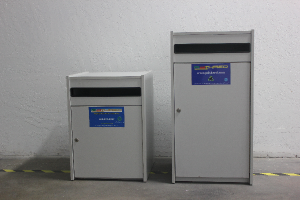 Many companies are choosing Arizona mobile document shredding. These types of document shredding services come to you. They bring a shredding truck, and your documents are shredded right before your eyes. There is never any doubt as to where the documents went and if they really were shredded. The use of a mobile document shredding service adds an extra layer of security and peace of mind. It is important to remember that if your documents are ever found to not be properly disposed of and patient or customer personal information is jeopardized, it is you that will pay the high price. Premier Document Shredding offers mobile shredding services in Glendale, AZ. Premier Document Shredding helps you be in complete compliance with FACTA and HIPPA. You can rest easy knowing all of the confidential information you are in possession of is secured and destroyed by our service. 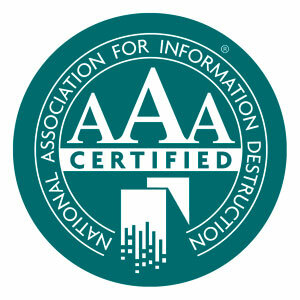 We provide you with a certificate of destruction to prove what happened to your documents. If you choose to have your documents shredded at our location you can be assured that your documents are accounted for and secured up until they are shredded and disposed of. Our new technology actually grinds your documents, instead of shredding them, severely decreasing the chances that anyone could put the document back together. 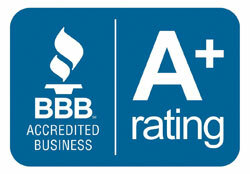 When you are in need of paper shredding Glendale AZ, call Premier Document Shredding. You can trust us with all of your document destruction needs.